Shoreline Public Schools recently received a “Gold Star Award” from Gov. Jay Inslee’s office honoring Shoreline as one of the top performing districts in the state for registrations for the College Bound Scholarship program. Last year, 83 percent of Shoreline’s eligible eight grade students signed up for the program. Statewide, the average sign-up rate was 71 percent. The College Bound Scholarship program is an early commitment of state financial aid to eligible students who sign up in middle school and fulfill the pledge. The program encourages students who might not consider college because of the cost and continue their education beyond high school. “I’m proud of the incredible work our middle schools’ staff have done in making students aware of the program, its benefits and assisting them with the application process,” said Superintendent Rebecca Miner. Graduate from a Washington high school or home school with a 2.0 GPA or higher. Be a good citizen and not be convicted of a felony. Apply to an eligible college and file the Free Application for Federal Student Aid (FAFSA) in a timely manner. Eligible students must sign up in middle school, by June 30 of their eighth-grade year, to receive this early commitment of state funding. In combination with other state aid, the scholarship covers tuition at public college rates. To receive the scholarship, students must enroll in an eligible college within one year of high school graduation. 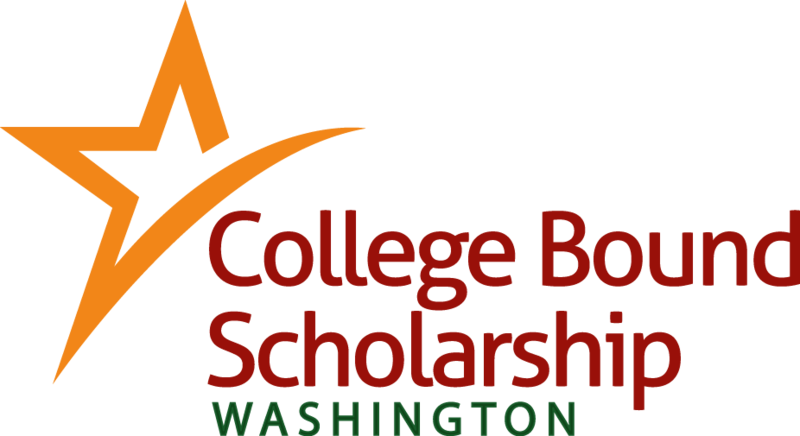 More information about College Bound here or call 888-535-0747.